Here’s a new red-brand promo for ta film we’re really looking forward to here on THN, STX Entertainment’s The Happytime Murders, which comes to cinemas later this year. Melissa McCarthy, Maya Rudolph, Joel McHale, Jimmy O. Yang, Leslie David Baker, Ryan Gaul, and Elizabeth Banks are amongst the cast of the film, which is directed by Brian Henson. It’s due in UK cinemas from 27th August – so not too much time to wait to see this one. Take a look at The Happytime Murders red band trailer below. It can’t be unseen. Here’s the official synopsis for the film. 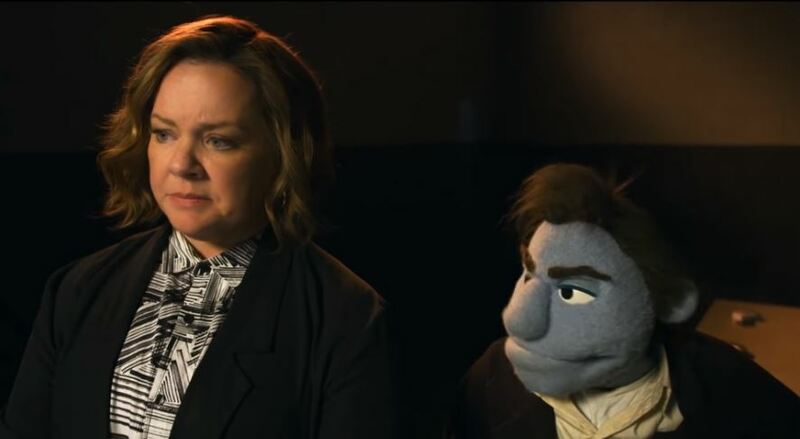 Starring Melissa McCarthy, The Happytime Murders is set in the underbelly of Los Angeles where puppets and humans coexist. Two clashing detectives, one human and one puppet, are forced to work together to try and solve who is brutally murdering the former cast of ‘The Happytime Gang’, a beloved classic puppet show. Take a look at The Happytime Murders red band trailer below. We’ll have more for you as we approach the release of the film in a few weeks’ time.